As I explained today’s challenge, my seven-year-old interrupted me: “It’s not a ritual, Mommy. It’s a tradition. There’s a difference.” Hmmm. Each time I used the term “family ritual,” he adamantly corrected me, until doubting myself, I decided to do some research. After reading too many articles on this subject, I declare myself the winner in this battle. (A ritual originally had a religious component, but today can mean a series of a repeated actions by an individual or family while a tradition still has an element of being passed down to someone). And, that’s what I get for going head-to-head with a second-grader. Pizza Friday: “I don’t like pizza,” my daughter screamed. Yep, seems she doesn’t like the cheese, the sauce, or the bread if you wanted to know why. After exhausting our list, finally, we decided on “Breakfast for Dinner” every other Wednesday. Pleased, I breathed a sigh of relief. Trying to get protein into my kids’ diet at dinnertime has become a struggle. While I’m envisioning omelettes, avocados, and smoothies, I bet they’ll want toast. Either way, we’re all excited for two Wednesdays from now. I also plan to start these rituals: family meetings once a month, individual “dates”with Mommy and Daddy and a family slumber party. What are your favorite family rituals or traditions? Here is tomorrow’s challenge . 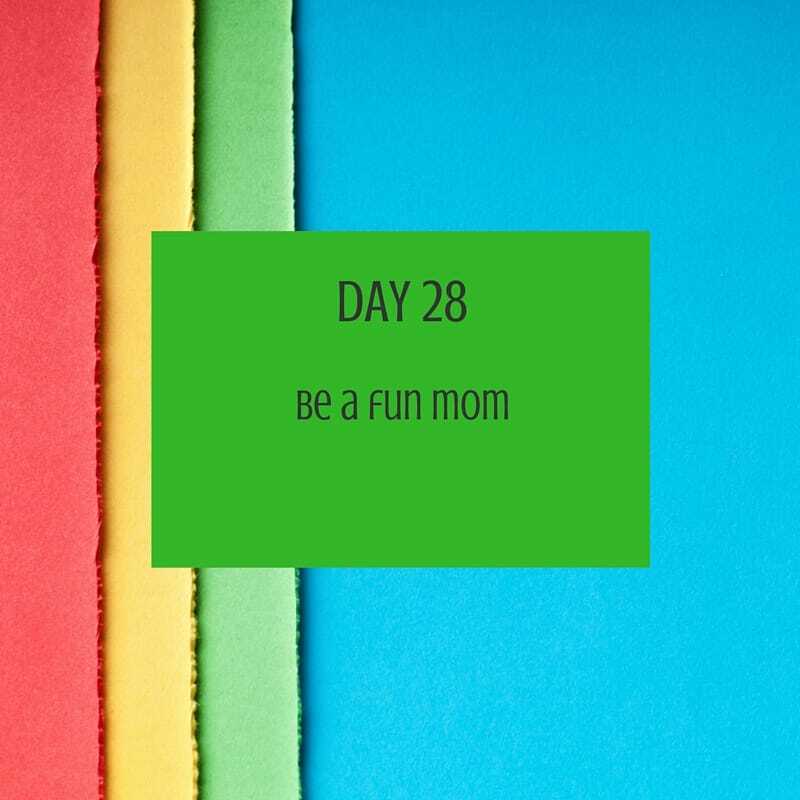 . .
Before I had kids, I thought I’m going to be a fun mom. I don’t know what happened but fun is probably the last word my kids would use to describe me. Yes, I know that I don’t need to, nor do I want to, be their friend. However, sometimes, I should let my mom-guard down, get in there, make a mess and have some fun.